Crooked River Ranch RV Park is open all winter for short and long term stays. The RV Park has full hook-ups available for winter stays from the end of September until April 30, 2013. $500.00 per month includes water, power, sewer, cable TV and WiFi. We do not meter power. The RV Park has shower and laundry available on site. Please call 541-923-1441 for additional information. Please call 541-923-6343 for current rates. Call 541-923-6343 for rates and tee times. Contact Crooked River Ranch Golf at 541-923-6343 for more information and details on holding a golf outing at the course. 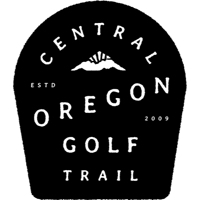 Contact Crooked River Ranch Golf at 541-923-6343. Contact Crooked River Ranch Golf at 541-923-6343 for onsite or nearby dining options. This profile was last updated on 10/24/2018 and has been viewed 7,719 times.